Instead of chatting your ear off about what you put in your body, today lettuce chat about what we put on our body. If you’re not into eating fake colors and flavors, funky additives, weird preservatives and a slew of other chemicals, you’d likely prefer to not slather your legs, teeth, face and hair with them either. Am I right? You don’t have to go spending your life savings on fancy organic cosmetics and personal care products, either. It doesn’t have to be the overwhelming, pretentious thing that some people make it out to be. Fear not–refraining from cosmetics overflowing with chemicals and crap doesn’t make you a hippie or a tree-hugger. There are tons of affordable natural options at both Whole Foods and Trader Joe’s. Let’s explore! Ya know how I’m pretty conscious about not purchasing food that has artificial colors, flavors and chemicals? Well up until recently I was still brushing my teeth with Crest toothpaste, in all its artificially bright blue glory. If I refuse to put sucralose, aspartame and artificial blue coloring in my coffee, why was I letting them them slide in my toothpaste and gum? I’ll tell you why. Because Tom’s natural toothpaste is not tasty, and a girl’s gotta brush her teeth! I kid. Kind of. 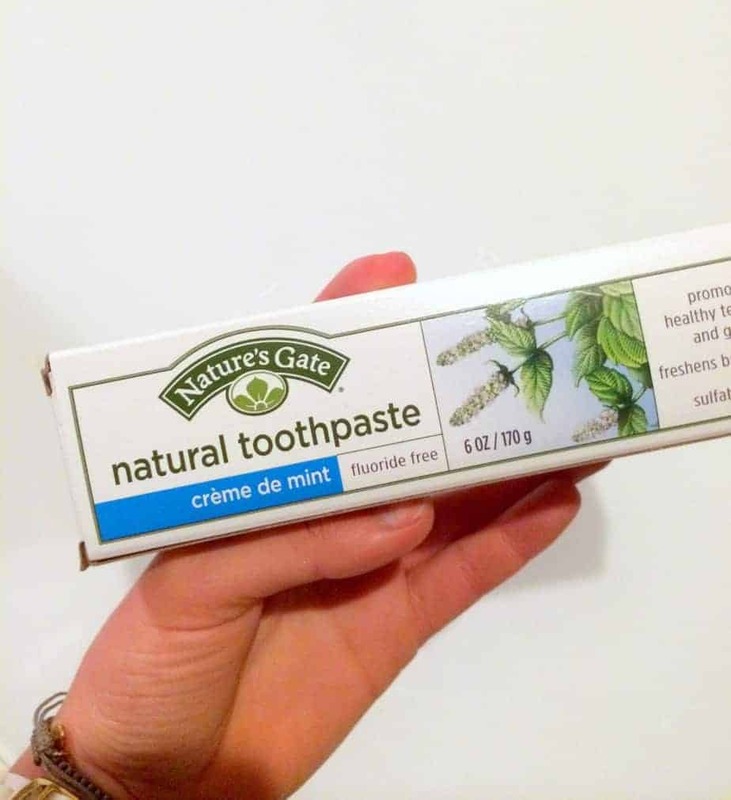 I recently purchased Nature’s Gate mint toothpaste at Whole Foods and it’s just perfect. It’s made with pure ingredients and free of all that artificial crap. Hallelujah! The best part is that it’s only $3.99, which isn’t that far off from regular toothpaste. Moving on to gum. 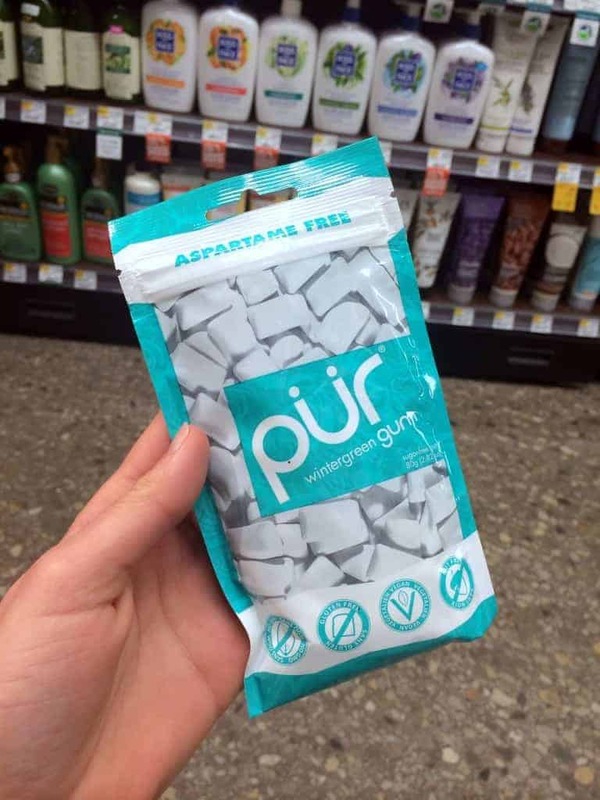 The answer to all your gum problems is Pur gum. It tastes great, has long-lasting flavor AND is sweetened with xylitol instead of aspartame! I got a big pack at Whole Foods for $4.99, but you can get regular-sized packs for $1.99. Yes, these products are a tad more pricey than your mainstream choices; but as I always say, pay a little more to eat and live well now or pay in health-care dollars down the road! 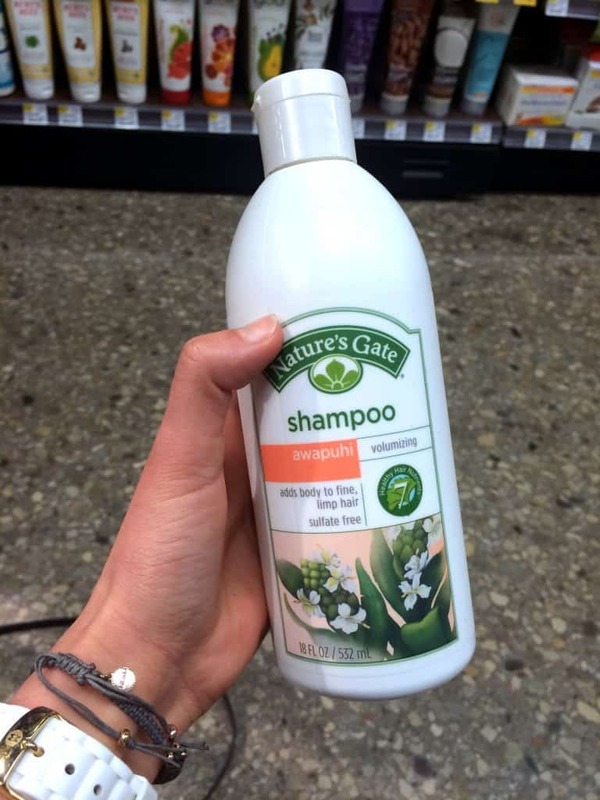 I love Nature’s Gate biotin and awapuhi shampoos and conditioners, which you can usually get for $6 to $8 a bottle. For a cheaper option, try Trader Joe’s tea tree line. When it comes to shampoo, lotion, face wash, etc., you want to go for products without synthetic colors, dyes and scents, parabens, sulfates, phthalates and sodium lauryl sulfate (a harsh chemical lathering agent also used in dish soap and laundry detergent). Parabens are the most widely used antimicrobial preservative in cosmetics, food and beauty products. 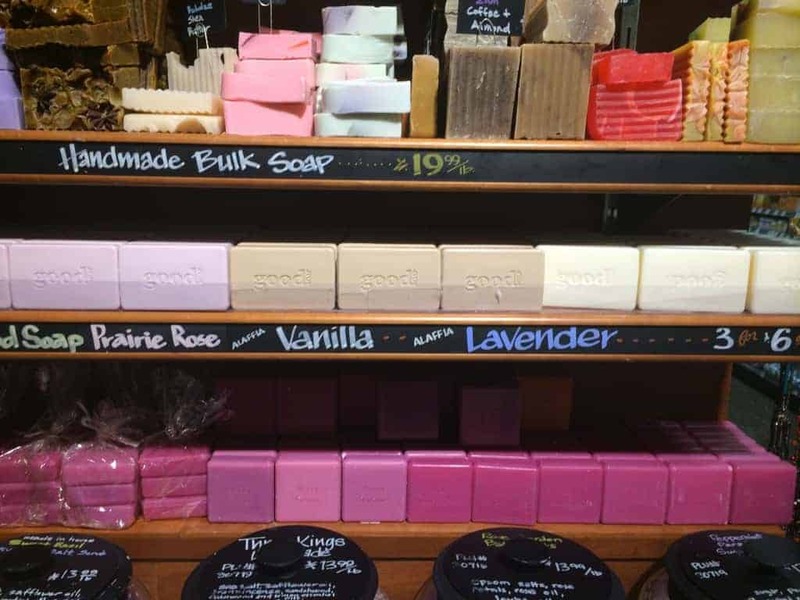 According to the Breast Cancer Fund, paraben compounds may disrupt hormones and mimic estrogen, which can promote breast cancer in some women. When you scan the ingredients, avoid anything that contains words ending in -paraben. Phthalates are endocrine-disrupting chemicals that may also increase breast cancer risk. Just as we do our best to steer clear of preservatives in food, we should make a sincere effort to avoid slathering them on our skin and hair as well. Your skin is the largest organ of your body, remember? Respect it! This mantra pretty much applies to all of the below products. Here are more of my personal faves! I love Whole Foods’ bulk soap bar. They have tons of awesome kinds (like coconut!) and they’re cheap, too. 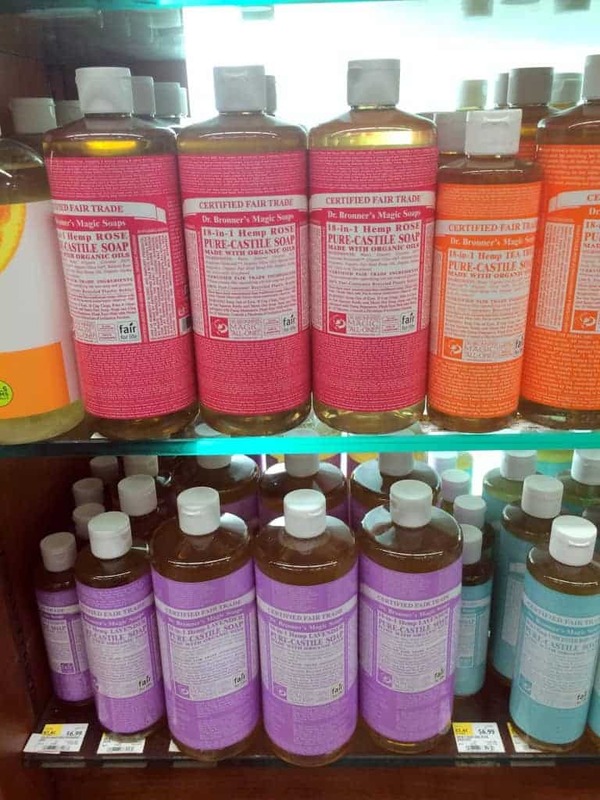 My favorite body wash is Dr. Bronner’s pure-castile soap (lavender in particular), which is basically made of essential oils and extracts for scent. The bottle is huge and will cost you about $10, but it lasts forever. 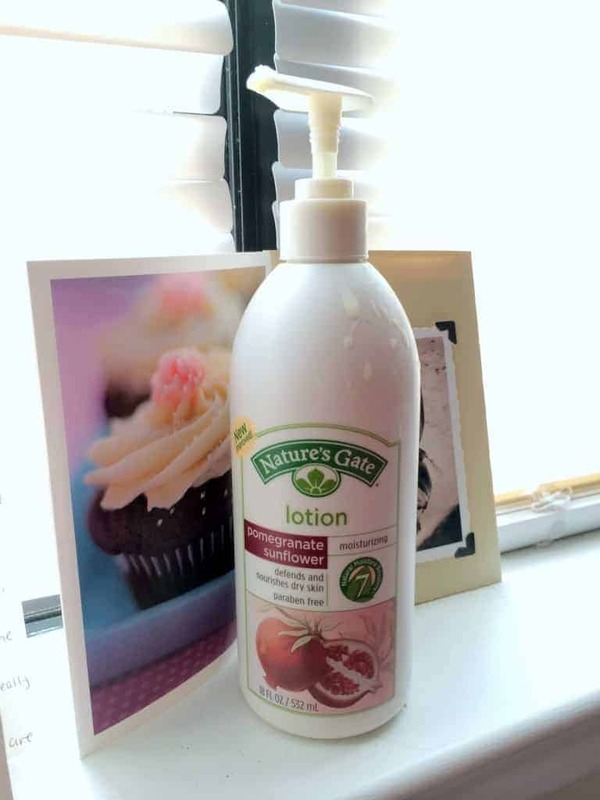 I also use Nature Gate’s line as my body moisturizer, which I don’t use nearly as much as I should. I also sometimes use coconut oil on my legs right after I get out of the shower (or else it’s too oily and doesn’t absorb well). 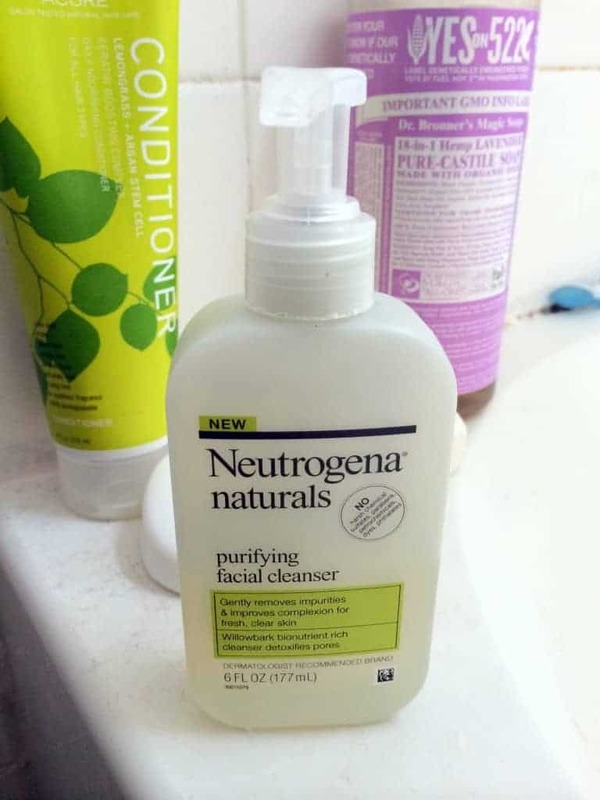 I keep it simple with Neutrogena’s natural version of their traditional face wash since it’s not super expensive, and I’ve been pretty pleased with it. I buy it at Target! 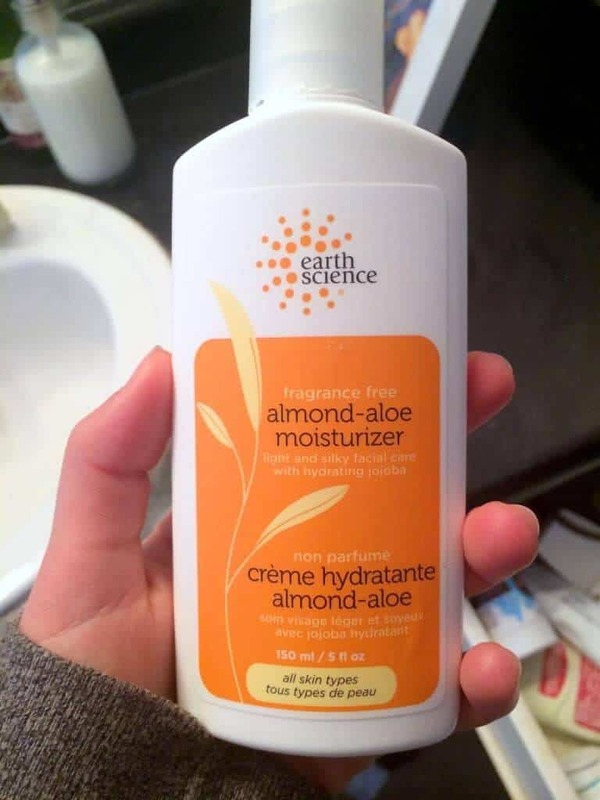 I recently found this unscented face lotion at Whole Foods for about $12 and I’m loving it so far. It’s a big bottle, so it was actually a great deal! I’ve never used an actual makeup remover product, but my go-to for effortlessly removing eye makeup is coconut oil. Just keep a little bowlful in your bathroom! 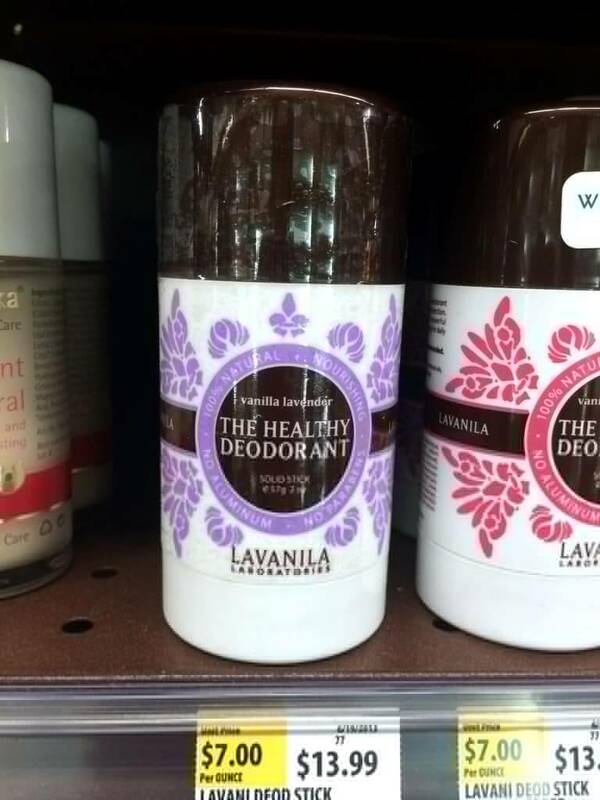 This vanilla lavender deodorant by LaVanila Laboratories is my absolute favorite because unlike most other natural brands, it ACTUALLY makes your armpits smell dreamy all day! Plus, I’m a sucker for lavender-scented anything. I’ve probably tried every deodorant on the shelf over the years, and this one beats all the others, hands down. It’s not cheap, but it does last a while. I’m more than willing to fork over the cash for non-smelly pits. Pass on deodorants with petrochemicals, parabens, propylene glycol, synthetic dyes and sulfates. Another controversial ingredient in conventional deodorants and antiperspirants is aluminum. Though this topic is widely debated, aluminum is highly absorbable and has been speculated to be linked to an increased risk of Alzheimer’s (which runs in my family). I definitely don’t want to be rubbing that on my armpits. In my opinion, just because the FDA doesn’t ban something doesn’t mean it’s completely safe. Dozens of additives and chemicals that are legal in the U.S. are banned in other countries due to their questionable safety. Partially hydrogenated oil (trans fat), which has been directly linked to heart disease time and time again, was only recently deemed not “generally recognized as safe” by the FDA. Remember when everyone smoked half a pack of cigarettes a day? Remember when we thought margarine was healthy? And that the world was flat? And that women shouldn’t vote? Things change. All the more reason to always have a healthy skepticism! Sooooo should we just wash our hair with almond butter and deodorize with hummus? Great post, Alexis! I’ve definitely started to think more about my choice of beauty products. If I take so much care into limiting the toxins in my diet, why would I expose my body through toxin-filled products? I switched to aluminium-free deodorant last year and can’t even imagine using the commercial stuff anymore. I can’t wait to try your coconut oil tip for removing make-up…merci! Exactly! So glad you made the deodorant switch! As far as the coconut oil for removing makeup…it’s totally life-changing. Love this post – thanks for all the great info. I am slowly replacing each cosmeticy thing with natural stuff. A lot of trial and error to find the good stuff! I am trying to get a decent hairspray over the next few weeks – let me know if you recommend a good one! Trial and error is definitely part of the process. Hairspray is one thing I don’t have a natural version of. I try not to use aerosol ones, and I hate that I feel like I’m inhaling it every time I use it. Honestly, I just try to avoid it. My mantra is akin to “pay a little more to eat and live well now or pay in health-care dollars down the road” – very wise words my friend!! 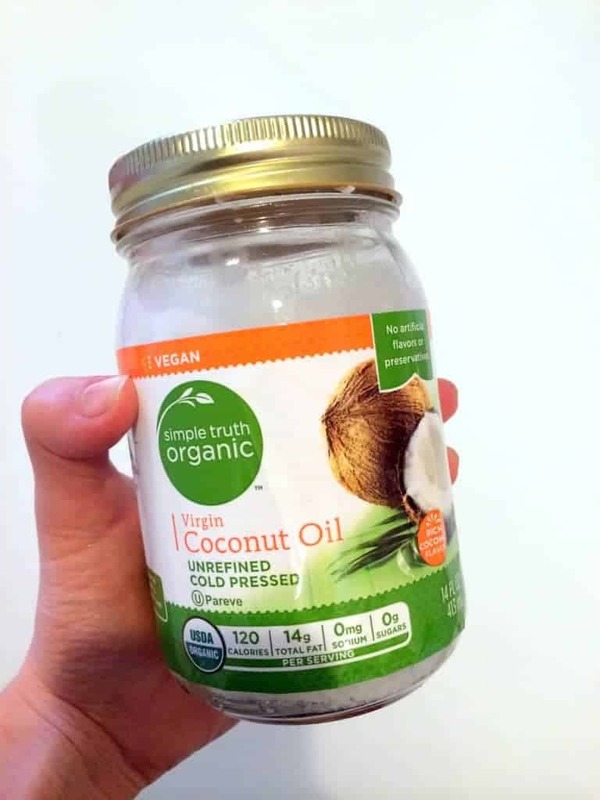 Coconut oil is so incredibly versatile – I use it to tame my frizz – it works like a charm! Love this informative post Alexis! Such a good idea to tame frizz with coconut oil! I’m definitely trying that ASAP. These curls are insaneeee! Great post and really helpful! I am trying to move towards natural body care products but it is taking time. Seriously wishing we have a Trader Joes! Thanks, Amy! I feel so bad you’re TJ-less :/ Whole Foods to the rescue! I think you’d approve of the gum! Man–what a bummer that WF is thirty minutes away! Better than nothing though, right? So funny that you use the same face wash! Love, love, LOVE. I’m a big time beauty junkie, and making the switch to more natural products is definitely taking some getting used to. I’ve been doing well with most body care products, but makeup is a little bit of a bigger struggle. I will say that it’s worth it, though. I’ve switched over all my skincare stuff and my face has never looked better. You always have the best makeup reviews! I totally need to hit you up about all that jazz. My makeup is NOT natural…that’s a whole other post. Eeeek! great post girl! I use all natural things too because many of the nasty ingredients in our beauty products are known to cause infertility! crazy right?? True dat! Natural all the way, baby. Great post!! You’re so right…we are conscious about what we’re eating; therefore, we should be conscious of the products we use on our body as well. That’s why, a few years back, I go rid of all those icky bath products and bought everything natural. Nature’s Gate and Dessert Essence are a few of my favs! Thanks my dear! I’ve never tried Dessert Essence but everything looks amazing. I use that Neutrogena face wash and love it! I’ve been using it for months now and love how it makes my skin feel. I have been debating whether or not to buy that deodorant so thanks for the review! I’m going to have to test it out. So funny! As far as the deoderant goes, I say go for it! I’m obsessed. Thanks so much for all the product info. I just wanted to let you know that xylitol is highly toxic to dogs. Even just one piece of gum can kill a small dog. I work in the veterinary field and I recommend that people who have dogs don’t buy gum with xylitol in it. Just a heads up, so people with dogs are aware. I am excited to try the toothpaste. I LOVE your blog, recipes, and food info!! You’re very welcome, Darla. Thanks so much for the tip on xylitol–I had no idea! Great to know. Thanks for the sweet comment! I love this post, Alexis! I shutter thinking of all the gunk in our environment that harms us. It astounds me that there are not more regulations in place to control it either. Too much bureacracy and politics involved. People need to become more aware of how this is impacting their health. Thanks so much, Megan! It’s actually scary the crap that’s in so many products we use every day. You’re so right–all politics! Ugh. Amen to that – the FDA definitely allows unsafe things in food, so they may certainly do the same for our topical products! It’s definitely important that we do our research and take care of what goes ON our bodies just as much as we watch what goes IN our bodies. Great post. Thanks so much, Danica. Amen to that! New reader here, I love this list! Thanks for sharing. Do you have a post on products you normally buy from TJs and/or WFs? Glad to have you, Lori! Thanks for stopping by :) I did a post a while back called My Trader Joe’s Faves. I believe it’s posted under the Nutrition tab! Hi Alexis and Happy New Year! Another question, I’ve been using coconut oil as a make up remover (per your rec!) and wondering how do you deal with it when its not in liquid form (i.e., living in the freezing cold in NY)? Awesome! I actually only use it in solid form–I just rub it right on! I never shower either…it’s cool. Add it to the list of why we’re the same person. My makeup isn’t natural at all, so I’m no angel!!! what an informative post..this is a transition i need to make soon in my life. i have started with using less chemicals on my face but need to switch over to more natural products over all. Any step is a good step :) All my makeup is full of crap…so that’s my next endeavor! Exactly! Coconut oil is my saving grace, I swear. Thank you for sharing such great list of products, will definitely try some of these to replace my other beauty products. My name is Aly and I would like to know if you would have any interest to have your website here at hummusapien.com promoted as a resource on our blog alychidesign.com ?